As technology advances in the Law Enforcement field it is very important to stay ahead and up-to-date in order to ensure that your Law Enforcement Officers are working as safely as possible. The police officers "tool belt" has grown in to a plethora of technology with everything from body cameras to license plate recognition. These tools are the building blocks for a strong team of Law Enforcement Officers who can keep communities safe no matter what situation arises. At Amerizon Wireless we stay up-to-date on new products and technology that can be indispensable tools for your entire organization. In every mission critical situation that your team faces we want you to know that you have the best of the best. We take pride and stand behind our products. 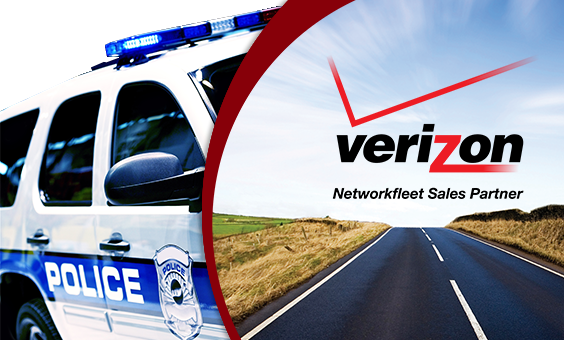 Keep your department ahead of the curve with the newest and best products. Capture critical moments on a body camera. Read license plates instantly. More information faster! Getac Rugged Computers can withstand on duty demands. Logging Recorders reliably capture and store critical calls & data. Optimize your whole fleet of vehicles and save money! 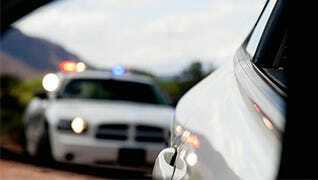 Get your enforcement vehicles updated with the latest, greatest! 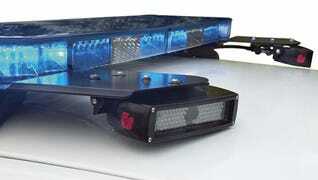 Provide instant communication to officers from large campuses. Motorola Radios designed specifically for the police officer of today. The Motorola Si500 Video Speaker Microphone (VSM) is the latest and greatest in mission critical solutions. It combines two of the most important pieces of equipment for officers in today's world into one rugged, intelligent device. This VSM is designed specifically for officer safety. Adaptive Noise-Suppression, Gain Control and Wind Porting holds it's voice standards to the high level of the Motorola APX two-way radios, while the state-of-the-art camera technology delivers a 210-degree articulating camera lens for a changing angle based on the wearer's comfort, realistic low-light performance to capture footage with more clarity, manual or automatic video triggering, and even a pre-buffering feature that can capture video evidence up to 60 seconds before a trigger is initiated. The Si500 is also made to withstand the rigorous job you put it through. It's T-shaped designed provides excellent grip, even in rough weather. It also carries IP67 and Mil-Std 810 C,D,E,F,G ratings, so you can be sure it will stand up to almost any condition you put it in. Contact us to today and we'll get started on the quote for your Motorola Si500. Vigilant Solutions’ Fixed LPR is the most versatile and cost-effective fixed license plate recognition (LPR) solution available today. Managed from within LEARN, Vigilant’s Fixed LPR provides an integrated fixed camera offering to law enforcement for strategic monitoring and intelligence gathering around a city, region or critical infrastructure location. LEARN is Vigilant Solutions’ intelligence platform. A hosted solution for law enforcement, the LEARN solution eliminates specific IT requirements within the agency and provides almost infinite scalability and data security. Vigilant’s Fixed LPR also offers a published Application Programming Interface (API) allowing customization for almost any application (security, parking, access control) requiring fixed-location license plate recognition. Features include the Mobile Hit Hunter, an industry exclusive that compares data collected in the commercial sector against agency hotlists to send alerts to officers in the field within a 3-mile radius of the vehicle of interest and Target Alert Service allowing for alerts from fixed camera vehicle sightings to be broadcast from LEARN to any computer or mobile device. A published Application Programming Interface (API) allows for custom applications such as gate triggering and communications with external systems. Industry-leading Perfomance is a given with Vigilant Solutions' Mobile and Fixed LPR Systems. Plate recognition accuracy (the ability of the system to automatically trigger an Image capture on the presence of the license plate) and plate read accuracy (the ability of the system to accurately interpret the characters) is superior based on Vigilant's camera technology and recognition algorithms. Getac rugged computers are the best you can get when it comes to mobile rugged computers. Getac had over 250 full-time engineers dedicated to finding solutions to real life problems. From sunlight readability, thermal heat dissipation, power management, and mechanical design to unique technologies like night vision and salt fog protection, Getac has you covered. Designed with rugged in mind, their Thin and Light notebooks and tablets are a true revolution in rugged computing. Models such as the F110 fully rugged tablet and V110 fully rugged convertible are some of the thinnest units ever produced running Windows OC. The V110 fully rugged convertible breaks new ground weighing in at only 68oz and 34mm thin, it's 28" lighter and 30% thinner than the previous generation. At Amerizon we offer only the best in mobile rugged computing like Getac. 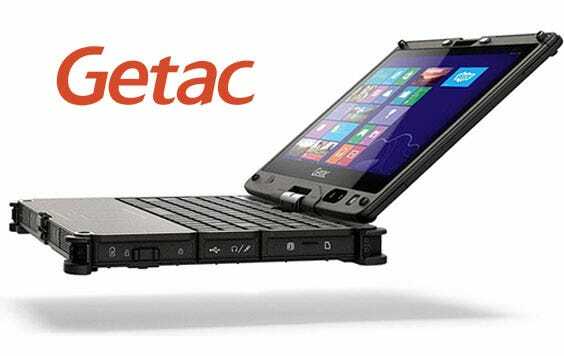 With their incredible reputation for performance and durability, Getac offers state-of-the-art features like sunlight readability, thermal heat dissipation, power management and brutal pre-production testing. Getac has the industry's best bumper-to-bumper warranty which covers pretty much everything. Eventide’s NexLog mission-critical communications logging systems reliably capture, store, protect, reproduce, and help you manage important interactions and critical data. NexLog logging systems have been designed to help you securely document and retrieve incidents, comply with regulations, and improve your facility’s operations. 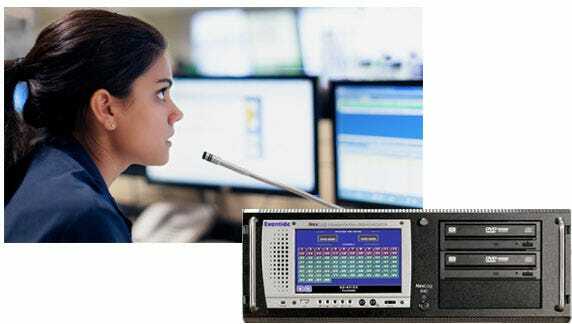 Eventide NexLog communications logging systems offer outstanding flexibility and ease of use, with a choice of advanced capability remote software or convenient touch-screen front panel operation. Call records are stored in a state-of-the-art SQL relational database, and NexLog logging systems feature an embedded Linux operating system for maximum reliability and compatibility with your existing Windows infrastructure. Eventide’s Quality Factor software option allows supervisors to efficiently evaluate call handling and dispatch activities for key attributes such as fact finding, control, empathy, and accuracy. Evaluation questions & forms can be quickly adapted as protocols change. Reports help supervisors measure quality trends over time. Eventide MediaWorks PLUS browser-based software provides you with a comprehensive set of easy-to-use tools for search, replay, instant recall, incident reconstruction, export and much more. MediaWorks PLUS software lets you securely access recordings from networked PCs using Chrome, Firefox or Internet Explorer. Networkfleet Solutions allow organizations with a vehicle fleet to concentrate on getting the most out of their vehicles. Fuel savings cut fleet expenses by providing the best routes and limiting unnecessary stops which ultimately allow vehicles to use less fuel. Networkfleet's onboard vehicle health diagnostics put you in control by monitoring and measuring every aspect of a vehicle's performance -- from speed, fuel efficiency, and miles driven to emissions, engine trouble codes and more. 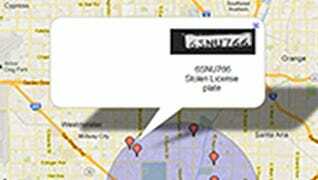 GPS technology with wireless coverage provides the ultimate in GPS fleet tracking. Networkfleet provides the accurate, timely data you need to make manage your fleet more efficiently and effectively. Networkfleet web-based fleet software provides you with an easy-to-use monitoring dashboard. Experience a 360 degree view of your fleet with near real--time data, giving business owners and fleet managers the ability to see the locatin, speed, and condition of vehicles at any given moment. The seamless integration between Networkfleet and Garmin navigation devices provides real-time communication with drivers for accurate routing changes on the go. Assign jobs, dispatch drivers to specific destinations, reroute vehicles during emergencies, and provide turn-by-turn directions -- all via the driver's in-cab Garmin device. 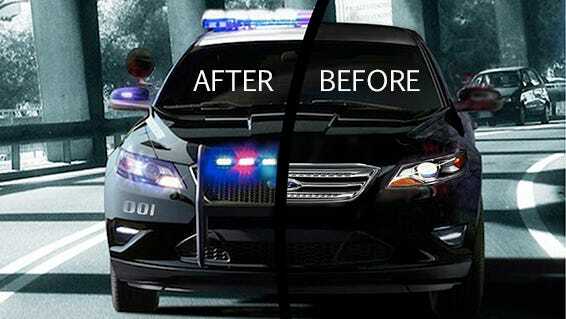 Police departments rely on their vehicles to handle the rigorous daily operation of police work. Having the best equipment is very important, but making sure that your equipment is properly installed by a professional team of experts ensures that your officers are safe and working efficiently. Emergency or assistance communication call boxes are a vital part of any serious security system. 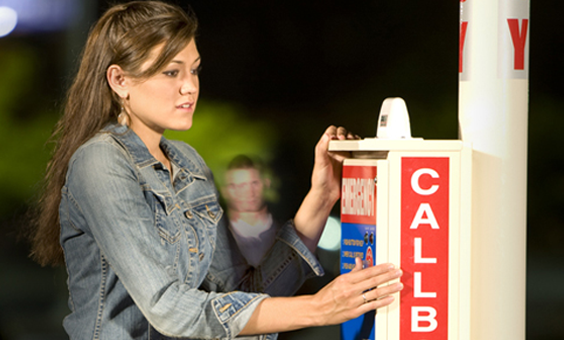 A durable wireless call box system will act as a highly visible deterrent to crime. When it comes to your community and protecting customers, employees, visitors, students, and citizens you want nothing less than the best. Our call boxes set the industry standard in new technology, reliability and ease of use. With wireless technology, you can have peace of mind knowing that your system will not require underground wire maintenance and replacement. You will have many years of reliable and secure communications. The communications equipment used by public safety officials must be easy to use while wearing full gear and gloves. Because of the constantly changing environment during a shift, communications must also withstand extreme environments and deliver clear audio over the roar of sirens. 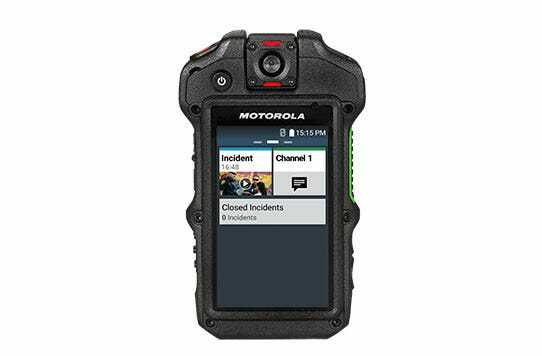 The Motorola Solutions APX series radios for officers are among the most advanced, rugged, and safest radios on the planet. These radios feature innovative designs by first responders for first responders and outperform other radios in extreme conditions. The APX series radios are ergonomic and easy to operate even while wearing gloves and full gear. First Responders now have a mission critical radio that is significantly louder and clearer in harsh environments so that every word can be heard clearly. These radios are interoperable and offer new technology to enhance the safety of officers. GPS tracking will allow command staff to know where everyone is at all times. 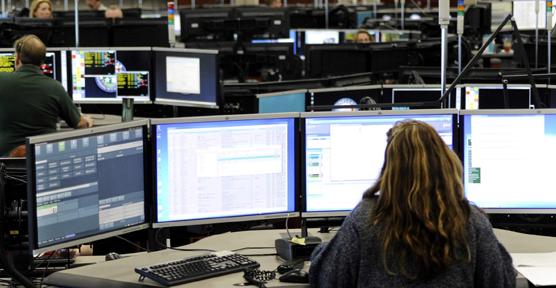 What makes technology mission critical? Reliability. Availability. Redundancy. Security. Dedicated mission critical networks – and all the components that go with them – are designed to withstand the rigors and environmental extremes of everyday use. They help first responders work safer, smarter and faster in disasters and day-to-day incidents. They keep communities safe. While mission critical solutions require significant investment, the returns (one to many calls in less than a second, capacity to handle increased network traffic in an emergency, coverage where and when you need it, back-up for the back-up systems) remain unmatched by commercial wireless solutions.